An exhaustive, yearlong investigation by the Associated Press has reached a startling conclusion: Seafood caught by slaves ends up in American markets and restaurants. Whether it's the imitation crab in a sushi roll or the fish product in a can of cat food, there's a likelihood that some American seafood involves human rights abuses. The journey from slave to table begins on fishing boats operating in treacherous and remote Indonesian waters. From there, supplies are shipped to Thailand, where loose and murky trade controls allow slave-harvested wares to slip into mainstream supply chains. Thai fish products end up all over the world; the U.S. accounts for 20 percent of Thailand's seafood exports. Men and children from Myanmar, also called Burma, make up the majority of the slaves interviewed by the AP. They describe a journey that takes them, often under false pretenses, from their impoverished homeland through Thailand and into Indonesia. Some are promised wages and working conditions that soon fail to materialize. Others are kidnapped outright. Hundreds of enslaved men live on the island of Benjina, where Thai captains ensnare them in back-breaking and perilous work. Fishermen described physical abuse and death at sea as common occurrences. The AP investigation used satellites and shipping data to track tainted seafood from Thai middlemen to major U.S. suppliers. One trader that received slave-caught fish, Kingfisher Holdings, Ltd., brings around 100 metric tons of seafood to America from Thailand. Most major American companies refused to comment to the AP, but admitted that maintaining a clean supply chain is a major challenge. According to the investigation, the sourcing of seafood harvested in Indonesian waters becomes murky when the product passes through Thailand. 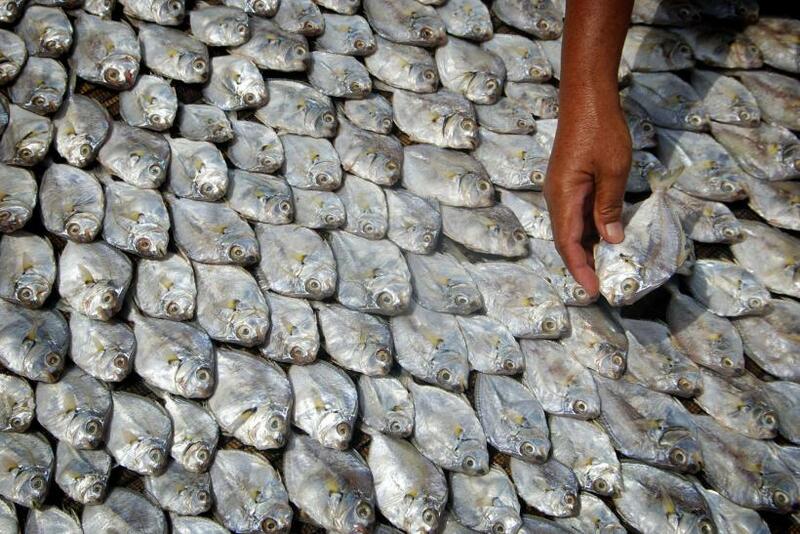 Indonesian authorities have attempted to eliminate illegal fishing and labor practices in its waters, the AP reports. Thai authorities have also tried to enforce more stringent labor guidelines, but their efforts have been hampered by the ever-expanding range of Thai-operated fishing boats. Though Thailand has been blacklisted by the U.S. State Department over human trafficking violations, it remains a major source of U.S. seafood.